Here is your very own chance to win Tesla Model S: register in the contest! 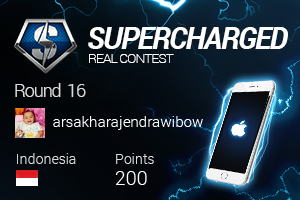 There are just a few rounds left till the final one, so hurry up and be ready to win! cTrader Weekly demo contest Round 34 is over - meet our newly-awarded winners! Once again we are glad to let you know that five winners of Round 34 cTrader Weekly demo contest have been already revealed, and we are happy to announce them! While we congratulate our five lucky winners with achieving great results, we encourage all traders to show their best trading abilities in the next round that will take place just in a few days. From now on, a local bank deposit option is available for our Thai clients! You can easily deposit and withdraw your funds via Kasikorn Bank (KBank), Siam Commercial Bank (SCB), Bangkok Bank (BBL) and Krung Thai Bank (KTB).